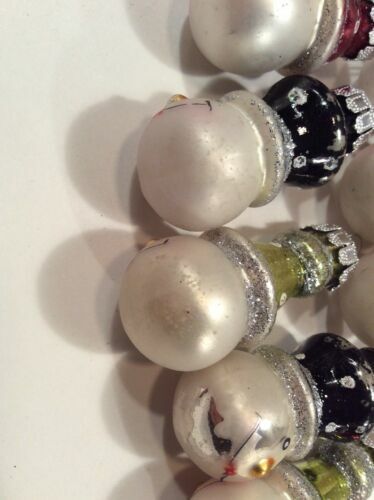 Lot 11 Vintage Glass Miniature Snowman Christmas Ornaments Super Cute! 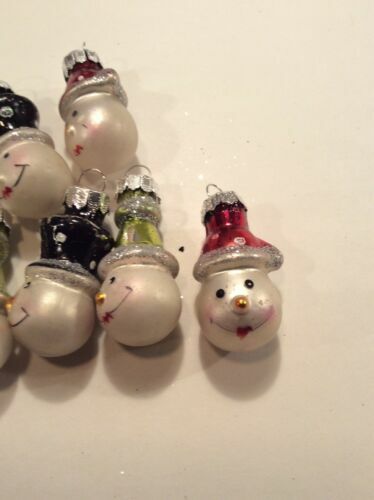 I m offering some vintage beautiful cute little snowman ornaments, there very small. Soo picture for size and condition, at least one has a chip in paint, but overall great shape for there age!